The Ohio State University Department of African and African American Studies (AAAS) creates and disseminates knowledge and understanding about the peoples of Africa: their artistic productions and economic contribution; their shared and diverse histories, cultures, and languages; and, the impact of race, ethnicity, and gender in the construction of their identities within the United States, Africa and its Diaspora, and globally. AAAS is the only department of black studies in the nation with a free-standing extension center. Located in the historic Mount Vernon area in near east Columbus, the Community Extension Center provides community outreach and education programs designed to enhance the educational opportunities of students and improve the quality of life for people who live and work in the neighborhoods near and around the center and Columbus’s urban communities. The extension center partners with OSU Medical Center (OSU East) to offer an after school program in math and science for students in grades 4-12. The program helps students develop competency in math and science, and strives to increase the applicant pool of students of color in math and science related careers. AAAS multidisciplinary curriculum includes the most extensive offering of African languages (Swahili, Zulu, Twi, Somali and Yoruba) found at any university in the U.S. 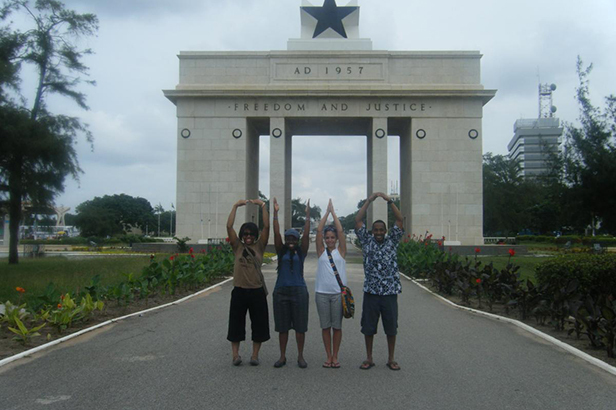 The department conducts two study abroad programs—one in Ghana and one in South Africa. It is also planning a new study abroad program to England to explore the Black British community there.